The day had finally come. I'd worn my extra pair of Sennheiser HD-280 Pro's out. After a decade, the headband was wrapped in electrical tape, the cushions on the band and ears were starting to crumble. Everything else was fine and I know I can get replacements, but rather than do that I opted to check out some of the newer players in the game. I don't want to become one of these crusty old dudes who swears by the tried and true and never gives anything else a chance. I'd seen some talk growing around Status Audio. They came up again when a buddy began ranting about Beats By Dre due to some comparison video he saw on YouTube. 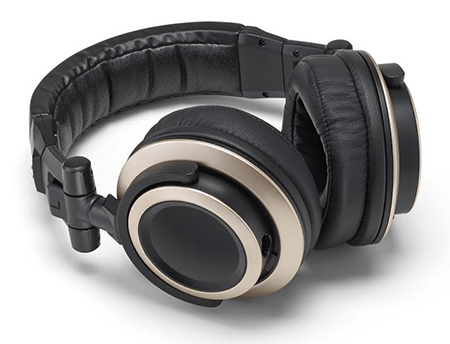 The comparison headphones ended up being the Status Audio HD One's, which led to their site. I was surprised by their selection. Instead of a million iterations on one consumer set of cans, they actually had an open and closed back set of monitor headphones. I was just hunting for another set for the office where I don't mix nor intend to, so I thought "what the heck" and gave the CB-1's a whirl. These are the closed-back option for professionals involved in recording and mixing. As a matter of fact, they're on my head as I type this, pumping out some Trevor Hall. Let me tell you, casually, the surface-level impression I got and then I'll dig into the more technical aspects. Please continue reading past my initial 5-hour review. I've returned with an update to share with you what my thoughts are after one and a half years of regular use. I opened the door and saw the Amazon box chilling on the floor. Instead of making a food run, I turned back around and opened that sucker. After I moved (full disclosure!) the dried cuttlefish out of the way, I made my way to the headphones. The presentation already impressed me. The CB-1's came in a hardshell square box where all I had to do was peel off some shrink wrap and open it on its hinge. I thought it was very classy, which I appreciate. Attention to detail, effort-free packaging, and not skimping out on presentation tells me these guys respect their customers and aren't trying to just slam volumes of product out into distribution. I checked out the stretchy cable that was in by default and realized it wasn't going to reach my interface in the rack to the left of my desk. I was about to dig for an extender in the closet until I realized the "straight cord" that comes extra wasn't only straight but significantly longer. So I went to switch them out. That's when I hit my second positive impression. I've never had a set of headphones where you can change cables externally like this, so I pulled at it and realize it was a no-go. It took me a moment to realize I had to twist it counter-clockwise and it came right out. That was sweet and pain-free. I hooked into the interface and sat back down to look at the headphones. They fold inward, just like my last ones, which means I can toss them in a bag for easy transport (and use the shorter cable on the go). The cans themselves turn to the side so you can slide them into a vertically oriented bag and not end up crushing them. Basically, they can lay flat like you see in the picture above. The side of the cable that goes into your interface or amplifier or phone has a reinforcement wire coiled about. This is going to save a lot of people problems with fraying there. Again, fantastic attention to detail and respect for the customer (instead of trying to get sales on replacement parts like most companies do these days). The plastic and padding are top notch. The plastic is thick to resist snapping but pliable enough to resist cracking. The ear pieces can slide in and out to adjust for the size of your head. I happen to have a big noggin and this can often mean the headphones feel too tight. These feel great, especially because the ear foam pads are the thickest I've ever seen, in a good way. I've been wearing them for about five hours now and I'm feeling no fatigue on my ears. Finally, I noticed they didn't plaster their logo all over it. I don't really have feelings either way about that yet, but it's interesting to note. I definitely only wear solid color T-shirts to avoid being a walking billboard for someone's brand. I'm sure I'll consider this a plus once I'm out in public. So just looking at the physical aspects of this, we're on fire. At this point, I was more than pleased. The presentation and comfort side of the equation gets a 10/10 or A+ from me. Let me say, I didn't burn these in for 24 hours with pink noise blasting or any of the other stuff people do. I put them on my head and pressed play. Some folks may want to know that, so there it is (ya loonies!). Here's how it played out in time. I actually went back over to the interface where I have two headphone outputs. In one I had the Status Audio CB-1 headphones. In the other I plugged in my crusty Sennheiser HD-280 Pro's that still play back perfectly. I went into A/B comparison mode. On the Spotify, I clicked on Kevin Gate's Islah album from 2016. I've been jamming it on repeat lately. It's southern trap style rap mixed with some Memphis feeling sounds. Basically, it's got big bass hits and lines along with strong bass kicks and reaches down into the sub-bass. The mids and highs are crystal clear in the mixing too, but the bass is powerful. I know exactly what this album sounds like from listening at home on my Adam A7 studio monitors in an acoustically treated room. I know what it sounds like on my Sennheiser HD-280 Pro's as well, but still opted to do a straight comparison. Track 1... go. Two thoughts went through my head at once... "Wow & Wat." It caught me off-guard. I'm used to a decade of two pairs of the Sennheisers, so I wasn't ready for the difference. These CB-1's handled the bass differently. Not better or worse, but differently. The bass was especially more pronounced in a very pleasurable way, but the part that made me think "Wat" was that I wouldn't call this a flat frequency response. I know the "smile EQ" response like the back of my hand, which is what I was hearing at a less extreme degree. It sounds great, but I'd definitely need to become accustomed to these before I would feel confident mixing in them without referencing my monitors. 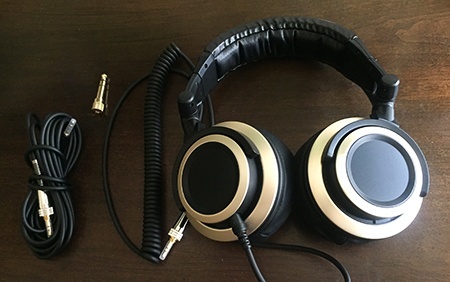 The HD-280 Pro's sound anemic and weak compared to these, but the mids and high frequencies feel more transparent, if only due to the lack of bass. The CB-1's actually reach a little sub-bass and handle normal bass tremendously. Confirmed. What you're seeing is how the earphones respond in volume along the human hearing range. The CB-1's can respond from 15 Hz to 30 kHz, which is beyond the realm of human hearing on both ends. What the chart is missing altogether is a legend to tell you how much of a variation we're looking at in the mid-range dip. This mid scoop isn't much at all. I'm completely guessing because I've not measured it but it feels to be maybe 3-5 dB total. 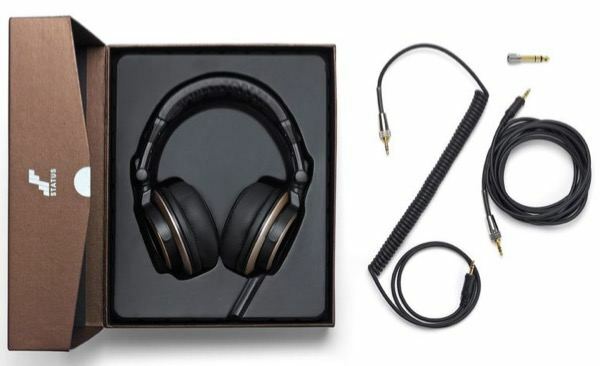 This leaves them sounding somewhere between professional cans and consumer headphones. I'm digging it. I wrapped up that album and jumped over to Trevor Hall's self-titled album from 2009. It's a folky, reggae, Hindu-ish album. It left me with the same impression. I jumped around to Tech N9ne, Yes, James Taylor... I gave these a full court attack and they stood up to the test. The real winner is that my ears aren't experiencing any listening fatigue yet. By now I'd not only want to take my headphones off because my ear cartilage was hurting, but also because my ears are simply sick of the barrage of audio. The frequency response of these seems to be delaying that feeling. In terms of audio quality, enjoyment, and longevity, I'm giving these an 8/10 or A. That's a fair score I think. They compromised on the flatness of the frequency response a tad but that also brought some serious benefits as well, especially to pleasure-listeners and non-mixers. If you need some isolation cans while recording, this is heaven. I took them off and put the ear pads together and couldn't hear any sound leaking out even right in front of my face. I'm back! It's been over one and a half years since I first put these on my head. My last pair of headphones, which are still working perfectly but starting to fall apart in some ways, are now gathering dust at the bottom of my rack. These CB-1's earned their new spot on the headphone hanger. With daily use, they've yet to show any wear and tear. They've been on my head every day, packed into various bags, used in the backseat of cars, etc. The plastic is showing no signs of weakening. I see no stress fractures at all (my last ones have black electrical tape wrapping a couple spots). The head pads and the ear pads are both still pristine, whereas you usually find them crumbling after too much constant use. But the real thing I want to share is that I'm completely converted to their frequency response. As a matter of fact, I think they are far more appropriate for our current mixing and mastering culture. Music these days, especially all types of pop from rap, country, and even metal, are emphasizing bass more and more. That means it's even more important to be able to hear the bass clearly so you can fine-tune it. It's as important to hear your music the way your fans will as much as it is to hear it transparently. I feel like these headphones offer you the best of both of those worlds without compromising on either side. It is my opinion that you can purchase these with full confidence that you'll be satisfied with the audio quality and with the durability of the build. Conclusion - We Have a Winner! First and foremost, let me say that I'm very happy with these. They are now my new office headphones. They passed the test through my nice converters and high-quality streams from Spotify and my iTunes collection. They carried the same sonic signature across a handful of genres. This means they're predictable and consistent, which means you can definitely mix in them if you're willing to spend the time to learn their sonic characteristics. You have to do that with any headset anyways. These seem like they'd help you make some sub-bass mixing choices if you don't have a subwoofer and acoustic treatment. They're as durable as any other pair that I've used. I can tell that already. And they have all of the same bells and whistles, if not more with the better padding and exchangeable cables. I think they're real strength is going out to two types of users: consumers who want a pair of headphones that sound pleasurable with pumping bass without depriving them of clarity, and studio artists who need isolation headphones that not only don't bleed (at all it seems!) into the mic but also are comfortable for long-term use. These are extremely lightweight. I'm not getting any listening fatigue yet either, even still in the 6th straight hour. Check these out by clicking on the image above, and if you want an even cheaper option, check out the OB-1 model. I'm guessing they're the exact same drivers and woofers but with an open-back casing. You'll get bleed out, but if you don't care then you can save a good $20 or so. Happy listening!